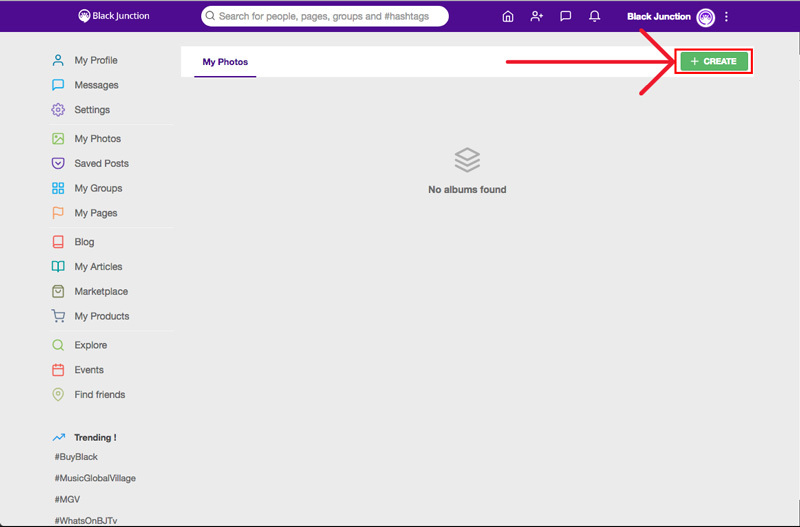 Click your username or profile image in the top right corner of the site and selecting “My Photos” from the dropdown menu (See image 1). 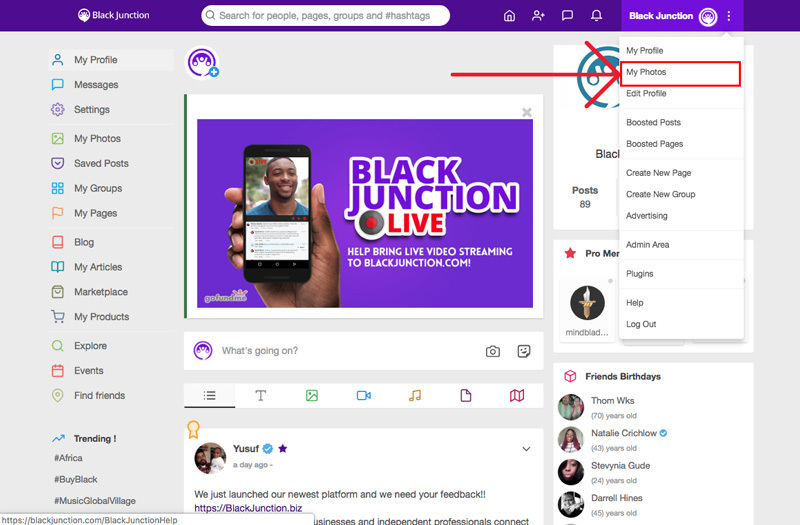 Click the “Create” button (See image 2). 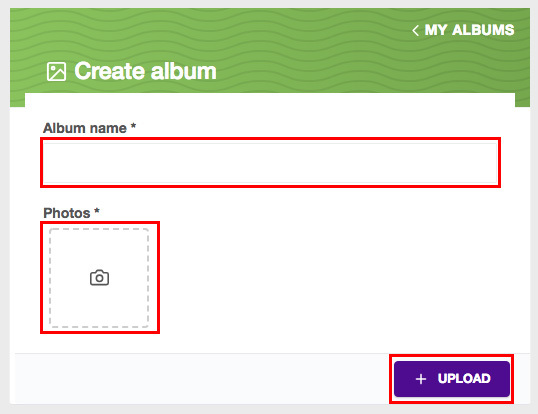 Name you Album, upload your photos and click the “Upload” button (See image 3).